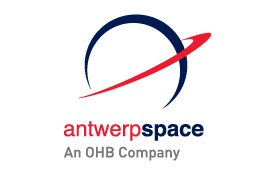 Antwerp Space, member of the OHB AG Group, is a Belgian leading company active in satellite communications. Since its repositioning in 2010, the company expands at a rapid pace, doubling its size over the last 3 years. The company revenues in 2013 amount to 10 MEUR, and was realized with a staff of 65 persons, mainly with a PhD in engineering. The company activities span from studies for future advanced communications, engineering of ground and space borne communication equipment engineering, integration and test of satellite telecommunication payloads, delivery of life-critical & secured communication networks. Along with the supply of equipment, the company also delivers testing equipment for satellite integrators. Our solutions are deployed both on the ground and on-board of satellites. Our main customers are European Agencies, commercial satellite operators as well as ground station operators.